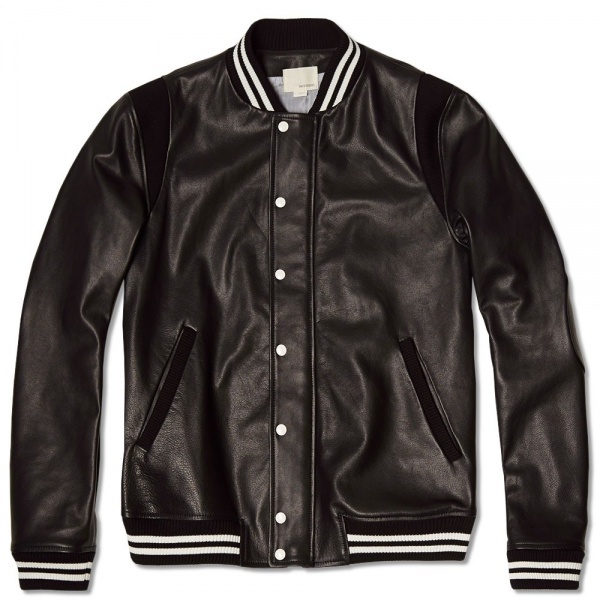 Band of Outsiders Leather Bomber Jacket | Definitive Touch - Men's Contemporary Style. Offering up a twist on a timeless classic, Band of Outsiders designer Scott Sternberg takes inspiration from a quintessential piece of American style. 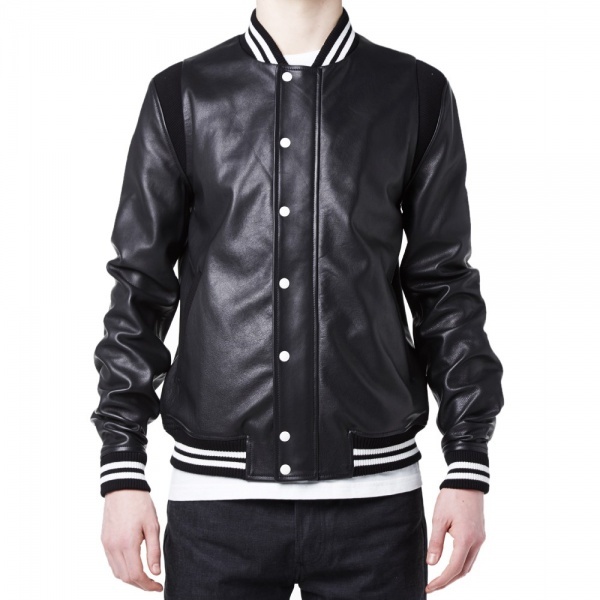 The Leather Varsity Jacket from Band’s Spring/Summer 2014 collection is made in Italy and constructed with a top quality leather shell, taking influence from classic sportswear. 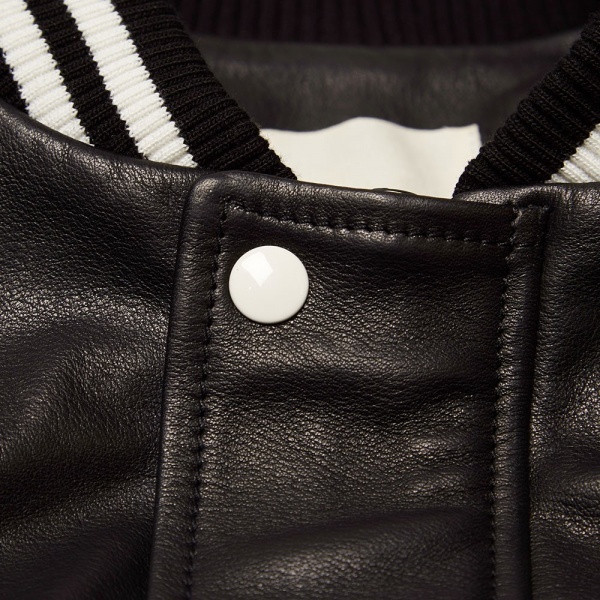 Closed with a chunky zip and covered placket and fully lined this impressive piece is a perfect example of the Band approach and an early highlight of the collection. Available now at End.